Natural Repellent Oil Bioaroma was added to your shopping cart. Natural mosquito repellent oil with essential oils of tea tree, juniper and neroli. 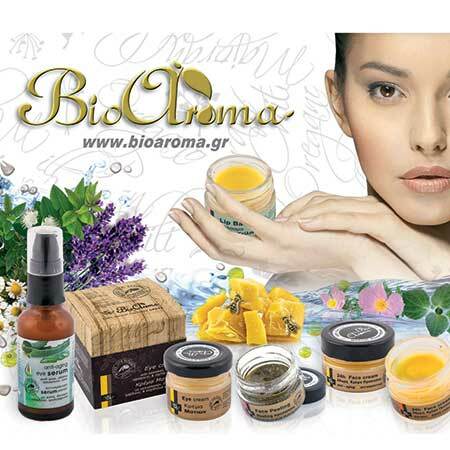 Cretan all natural mosquito repellent oil made by Bioaroma with narural essential oils of tea tree, juniper and neroli. Essential oils contain effectively repel annoying visitors. My tip: If your are one of the "sweet blood types" (like my husband) that all the mosquitos around them will bite only them, then you need to take drastic measures. Before you go out for your evening stroll, spread this natural mosquito repellent oil to the exposed areas of your skin, legs, arms and neck. If you intent to stay out for long then take the mosquito repellent oil with you and use as often as you like. This oil repellent will not only protect you from mosquito bites but will also leave your skin soft and rehydrated. Use: Spray the mosquito repellent oil Bioaroma and spread it on the exposed parts of your body. Suitable for men, women and children.